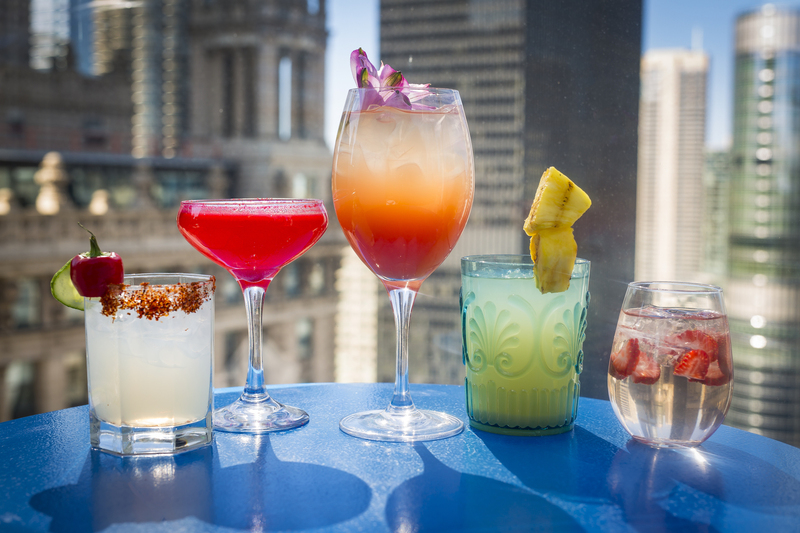 If there's one thing Chicagoans love more than drinking in the sun, it's drinking in the sun high above the city's streets. 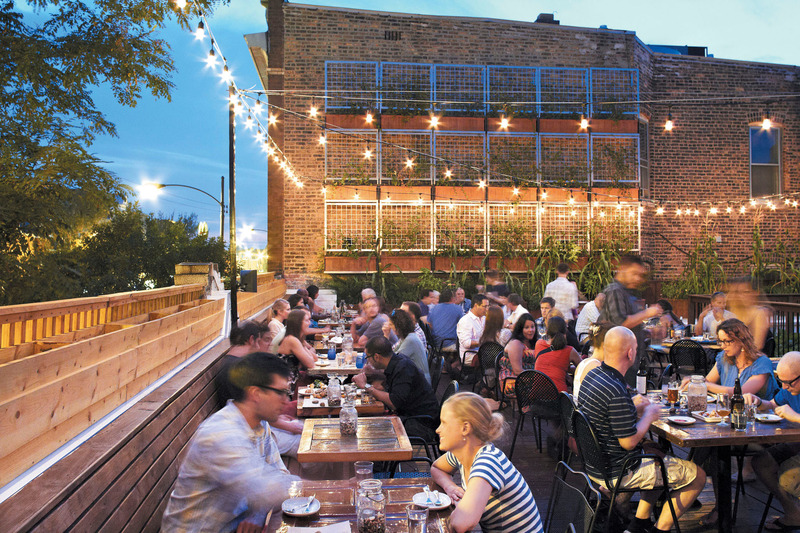 Come summertime, some of the best Chicago bars and restaurants open their rooftops to vitamin D-deprived residents. 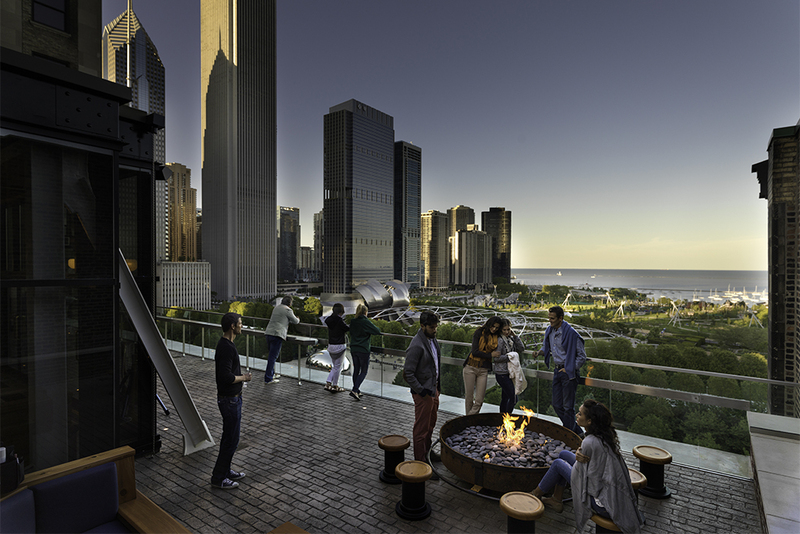 The best rooftop bars in Chicago offer breathtaking skyline views and sophisticated cocktails that keep us coming back for more (not that we needed an excuse). 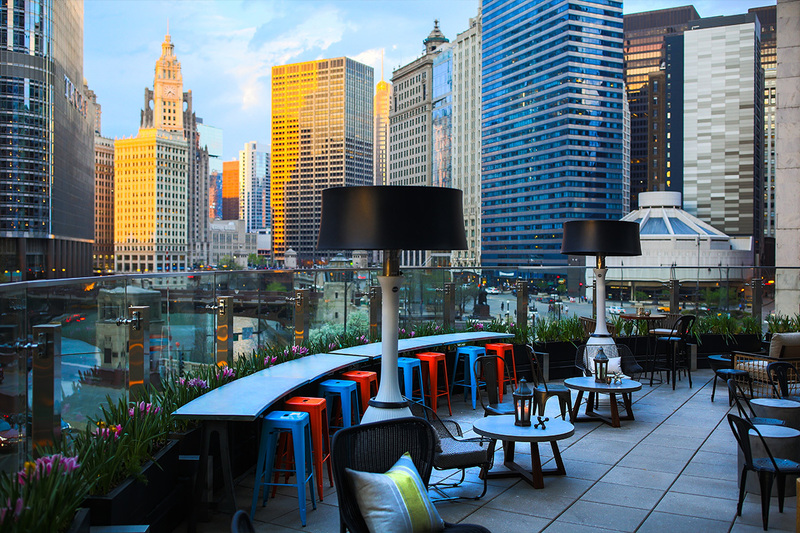 From one of the best cocktail bars in Chicago to an elevated beer garden in Lincoln Square to shuffleboard palace in Wicker Park, the most amazing rooftop bars come in all shapes and sizes. 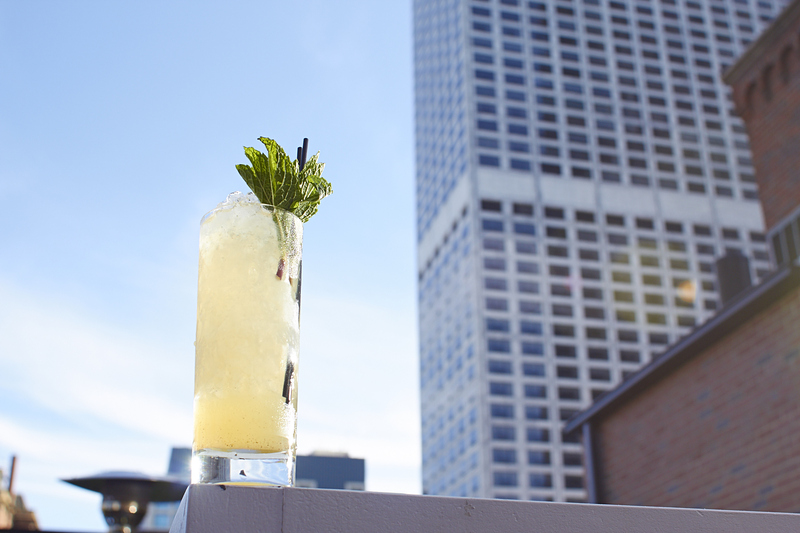 Scope out the best rooftop bars in Chicago and plan your summer imbibing accordingly. 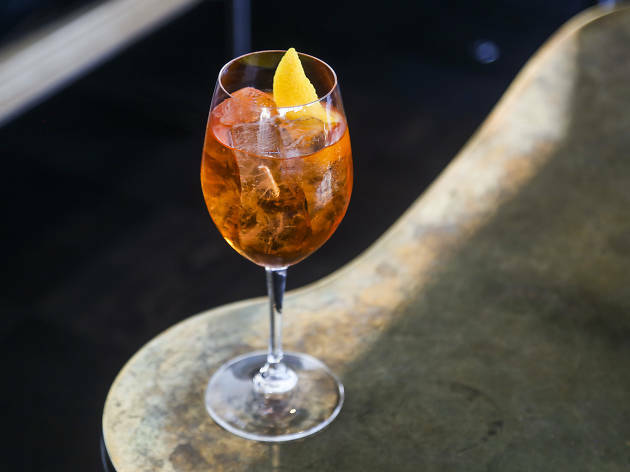 When friends ask us where to take cocktail-loving out-of-towners, one spot always leads the pack: Cindy's. 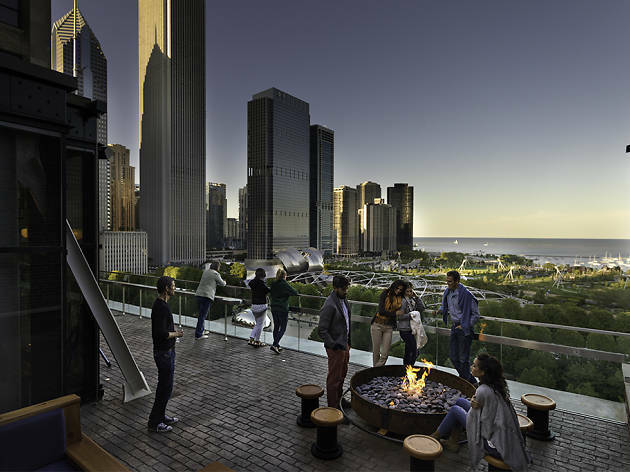 The rooftop restaurant and bar at the Chicago Athletic Association Hotel offers unparalleled views of the city, with an expansive look at Millennium Park and the Lake. 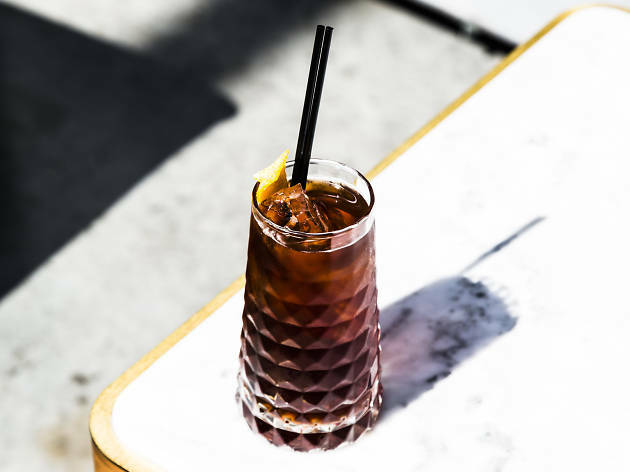 But the real draw is a roster of excellent cocktails—like the Jillian with vodka, vermouth, spiced clementine and fresh lemon—and clever spirit-free elixirs. 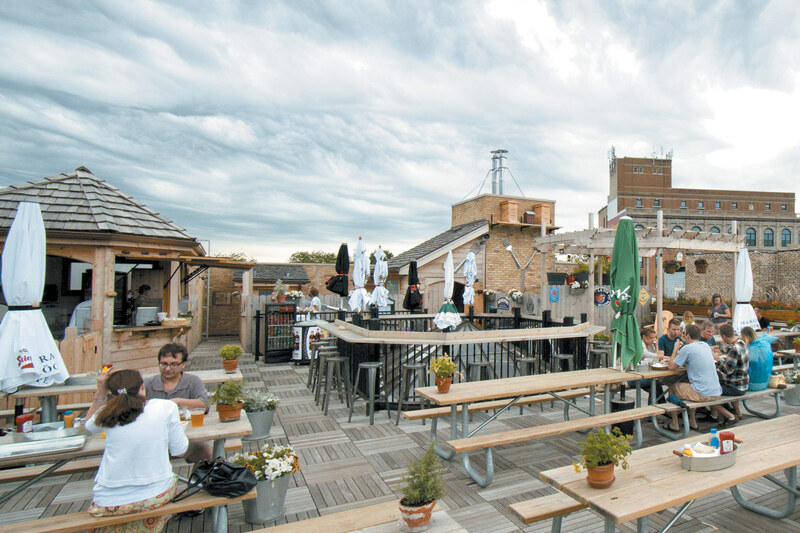 In the summer, Gene's opens its glorious rooftop and serves ice-cold beer, grilled sausages, potato pancakes and pretzels. What's not to love? The only issue you might encounter is finding a table big enough for all of your friends after you've told them where you're spending your afternoon. Even in the dead of winter, this beautiful rooftop bar at the Kimpton Gray Hotel feels like a tropical paradise. The menu here highlights South American flavors in drinks like the In the Morning, I'll Be Better, an addictive blend of plantain-infused Scotch, black walnut bitters, tiki bitters and smoke. Pair it with an order of the fan-favorite empanadas, which are stuffed with flank steak, red pepper and olives and served with chimichurri sauce. 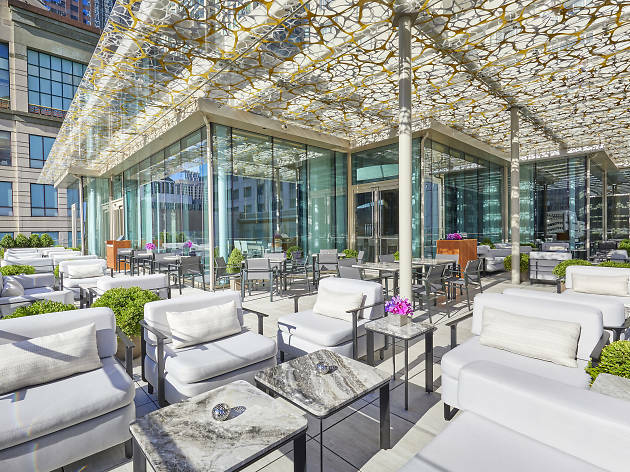 The Peninsula's stunning rooftop lounge has it all: sweeping city sights, globally inspired cocktails and a roster of delicious, shareable snacks. 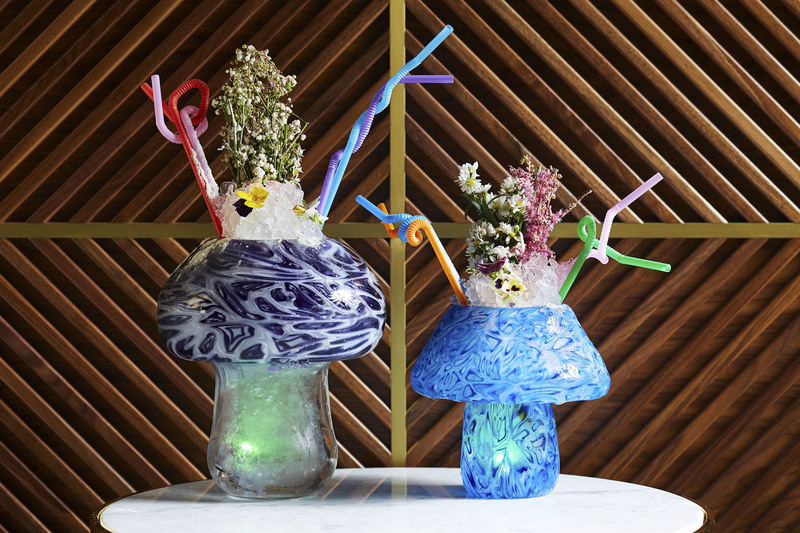 Sip cocktails like the Disco Fever, with vodka, mandarin, passionfruit, champagne and fresh lemon, or opt for a spirit-free beverage, like the Garden Party, which is infused with cucumber and pea blossoms. On the food front, there are plenty of crave-worthy snacks: Chicago-style pizza pockets, daikon frites and steak fondue. 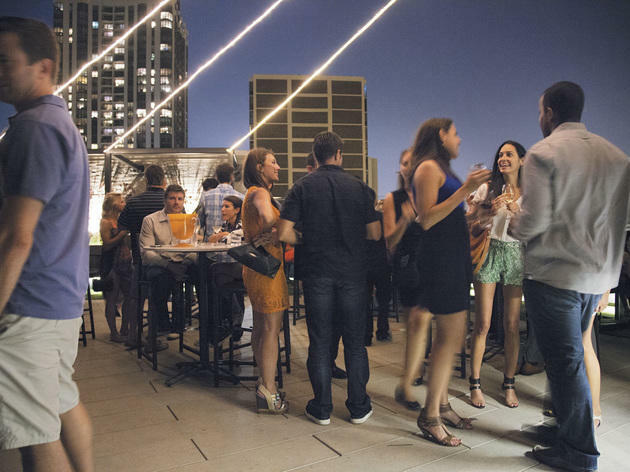 A rooftop bar on the third floor of a Renaissance hotel? 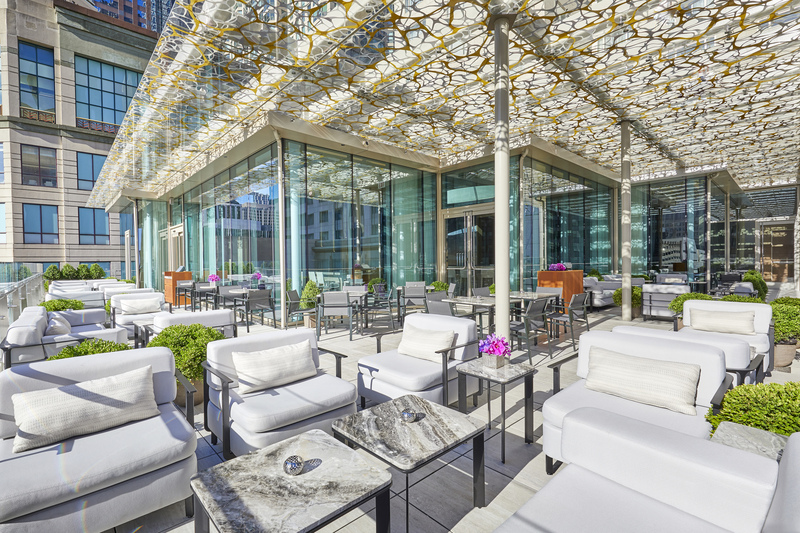 It doesn't sound very exciting, but you shouldn't underestimate Raised, a stunning oasis perched above Wacker Drive in the Loop. 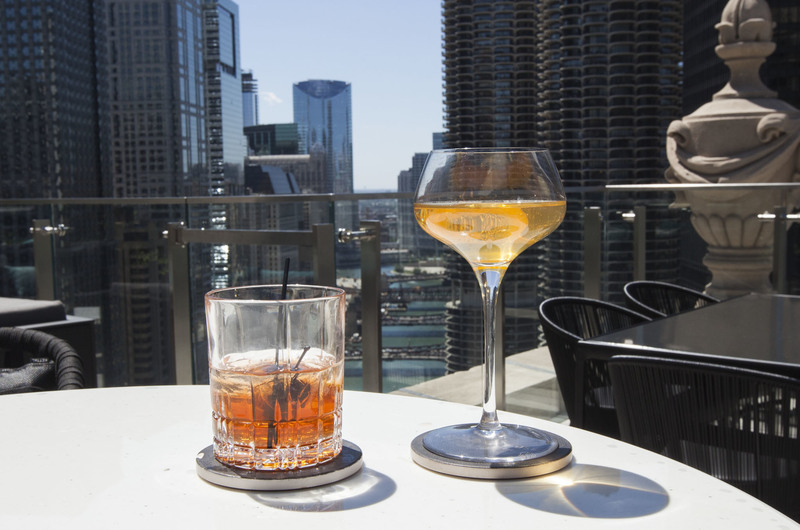 The garden-themed bar offers unique views of the Chicago River and the surrounding skyline, with clear shots of the Wrigley Building, Marina City and the Michigan Avenue Bridge. If you can, grab a seat at the curved railing along the perimeter of the building and order a round of botanical-themed cocktails, like the Thyme After Thyme with housemade chamomile arancello. 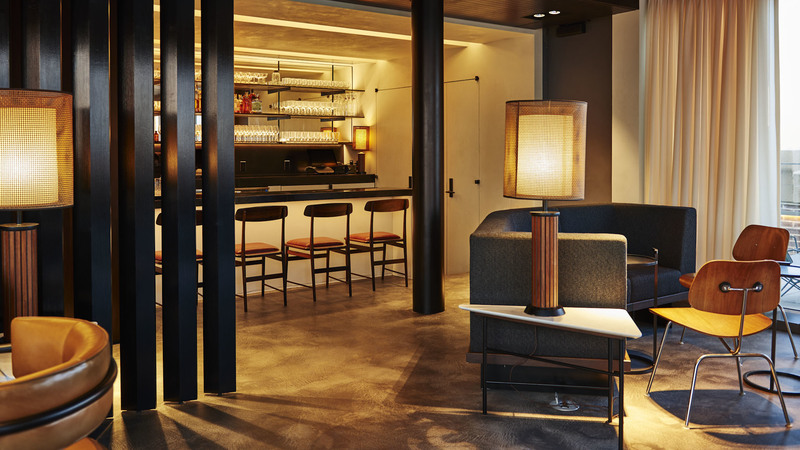 Perched atop Ace Hotel in the West Loop, Waydown is a funky-cool joint that regularly hosts bumping sets from Chicago DJs. 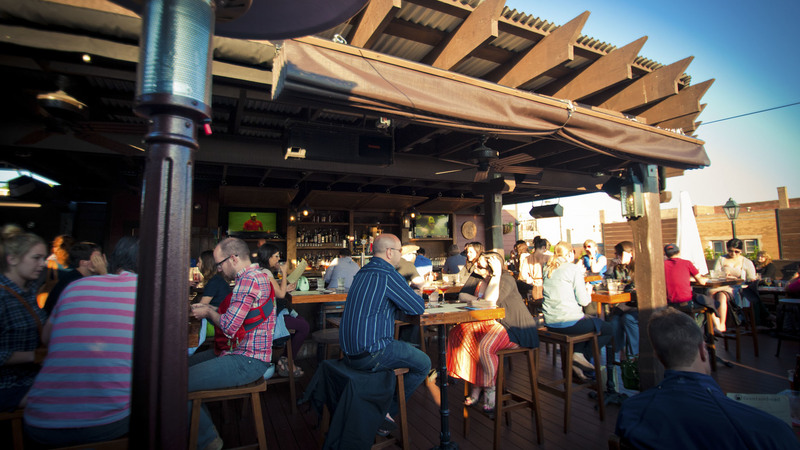 Grab a seat on one of the cozy couches on the covered outdoor deck, or hide from the elements indoors. When your server comes by, copy our order and ask for the charred tuna lettuce wraps and a fizzy amaro and rootbeer. The gorgeous 18th-floor bar of the Raffaello Hotel boasts three distinct sections: a handsome, dim interior full of tufted leather banquettes; a chic exterior deck lounge with open fire pits; and a narrow indoor-outdoor corridor where the marble floor and arched windows play against contemporary green stools. You'll be happy drinking the expertly made cocktails in any space, but in summer, the outdoor lounge is the place to be. 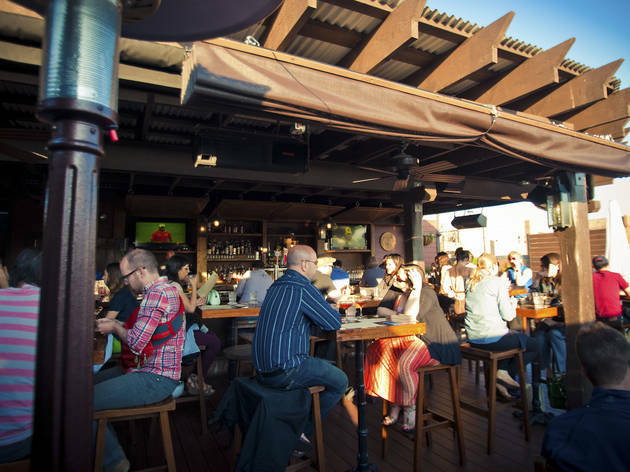 If you're looking to sip craft beer, bourbon or whiskey in the sun, you've come to the right place. 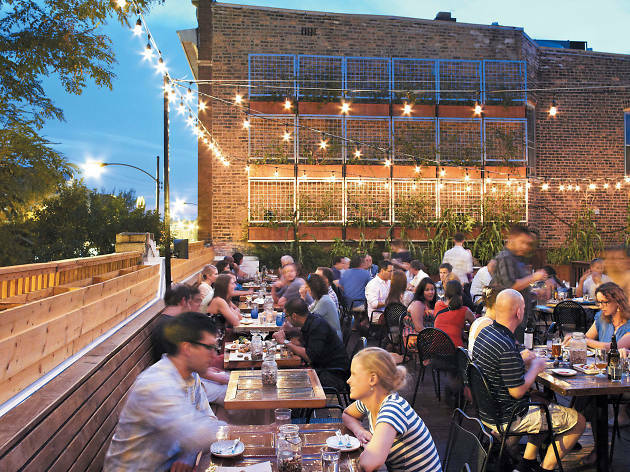 When the weather permits, this North Center bar opens its rooftop garden to thirsty Chicagoans, pouring suds and ciders from local, national and international brewers like Whiner Beer Co., Ska Brewing and Brasserie de Silly. For something stronger, choose from a laundry list of bourbons, available as shots, drinks or as a Manhattan. 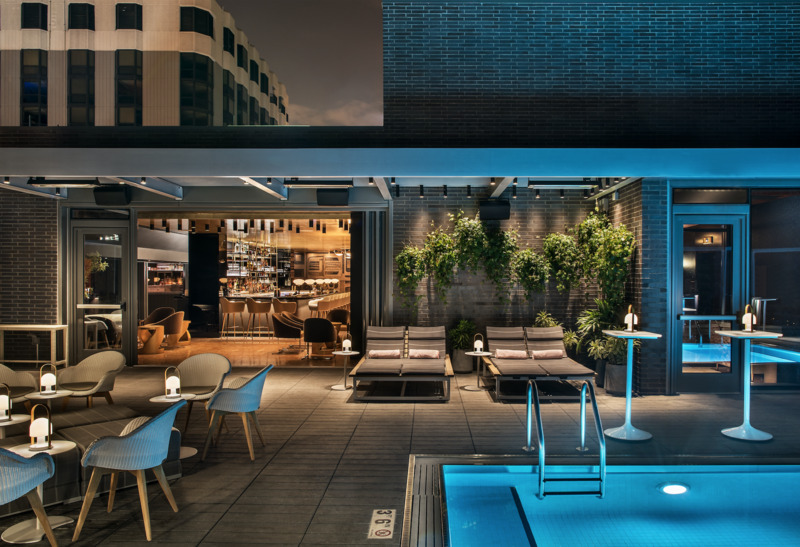 Unlike other poolside bars at trendy Chicago hotels, Devereaux is open to the public. That means you don't need a room key to sip a glass of chenin blanc while dipping your toes in the water. Toss in an order of garlic fries with truffle aioli and stick around until the sun begins to set over the skyline. 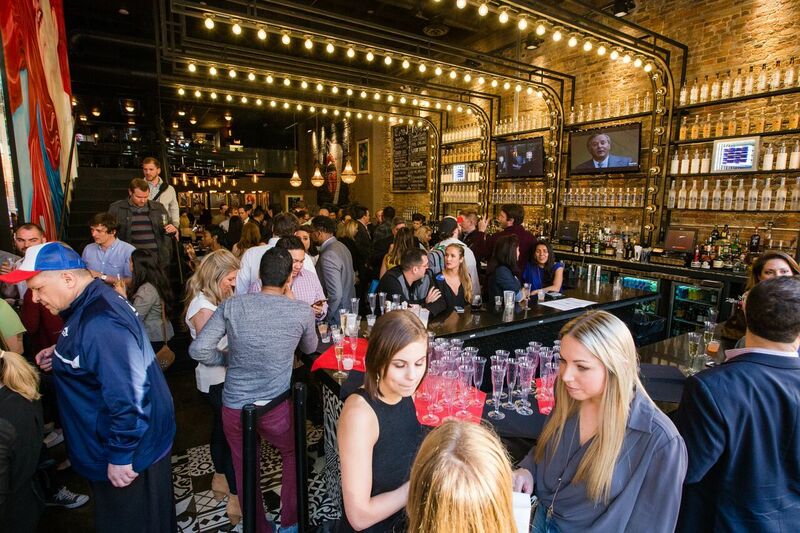 If you haven't crossed the J. Parker off your Chicago bucket list, grab a glass of sparkling rosé and get to work. 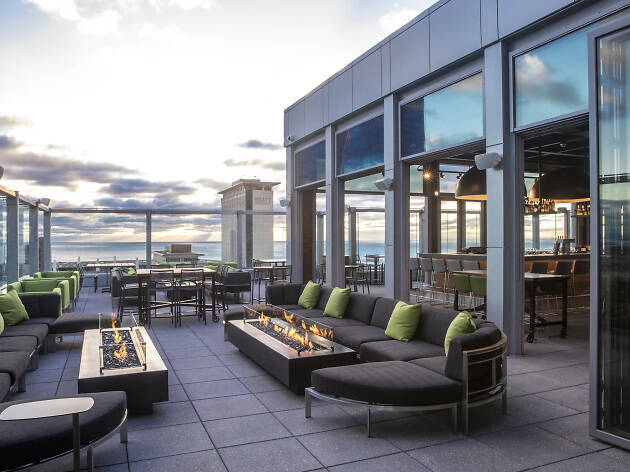 With its mesmerizing views of the city and Lincoln Park, this year-round rooftop bar is a must for entertaining out-of-towners. On particularly beautiful summer days, arrive early and be prepared to wait for a seat to open. It's worth it, promise! 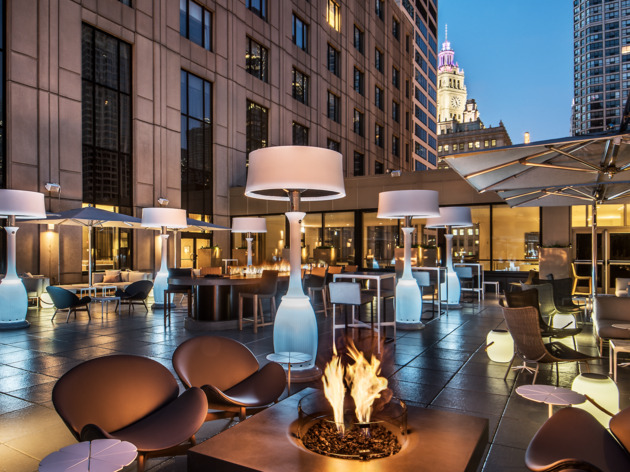 This contemporary Brazilian steakhouse has been a mainstay in River North for more than a decade, and we can't help but credit its beautiful rooftop with some of its success. The stylish space is dotted with comfy couches and lush greenery, making it feel like an escape for the busy neighborhood. 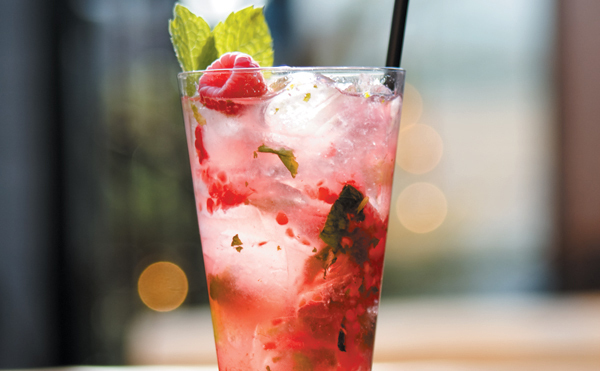 When Sunday Funday rolls around, the rooftop deck swells with revelers sipping colorful cocktails in the sun. 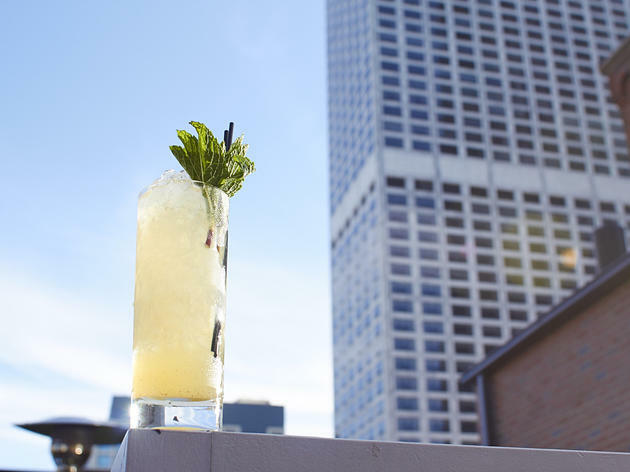 There's a lot going on inside this 13,000-square-foot all-seasons rooftop bar in the South Loop. Belt out a tune inside a karaoke room, grab a drink at the solarium bar or snap a photo of the skyline from 22 floors above street level. 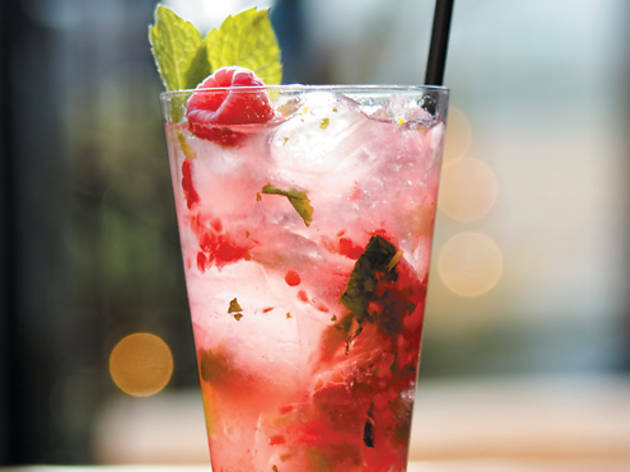 The cocktail menu is broken down by spirit, with drinks like the Scotch #1 with floral berry liqueur, blackberries and thyme. On the food front, enjoy wordly dishes like rock shrimp ceviche, buttermilk fried chicken thighs and Korean shortribs. 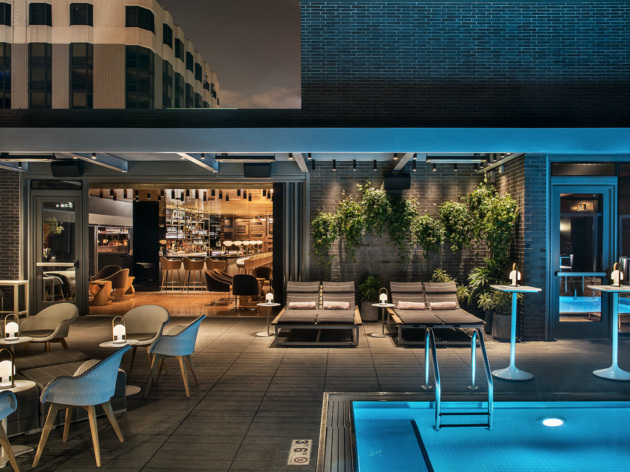 Located on the 26th floor of Virgin Hotels' downtown location, Cerise is surrounded by glistening skyscrapers that become illuminated after the sun goes down. Pair cocktails, wine and beer with a curated selection of bites, like the octopus ceviche with pita chips. A lineup of rotating DJs and super comfy furniture are huge bonus points that make lounging around all night way too easy. 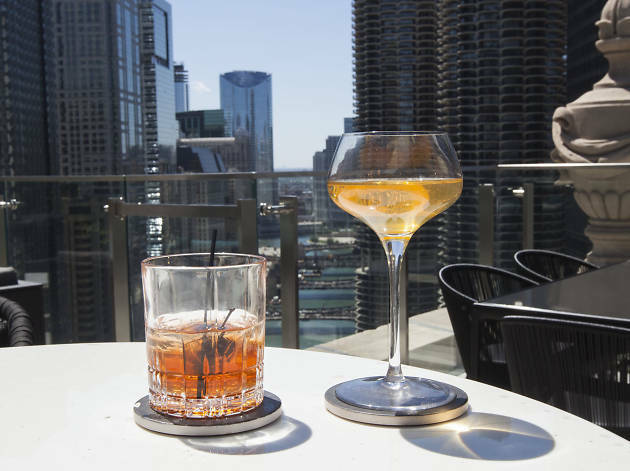 Sip otherworldly cocktails in swanky environs at this lounge situated atop dana hotel and spa in River North. 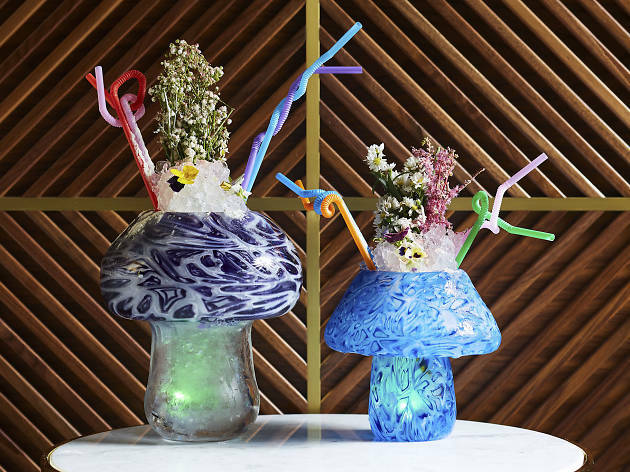 The drinks here are served with a side of whimsy and include colorful garnishes like cotton candy toppers, plastic butterflies and beautiful flowers. 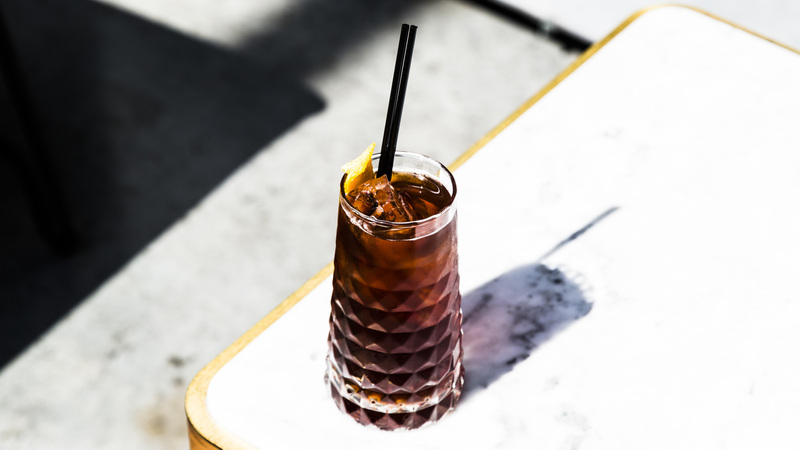 Choose your own or share a large-format sipper with a friend. If you can, request a couch by the modern fireplaces so that you can last long into the evening if things get chilly. 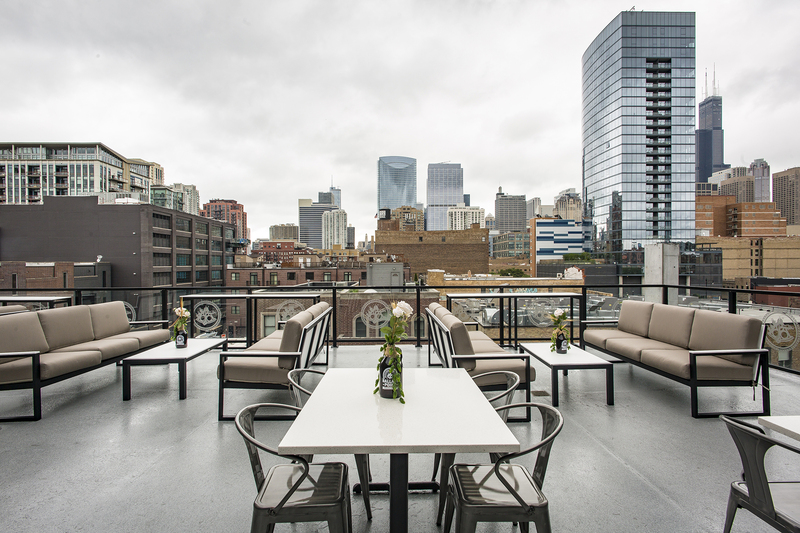 You won't find many sky-high rooftop lounges in Wicker Park, which makes the Up Room a special neighborhood destination. 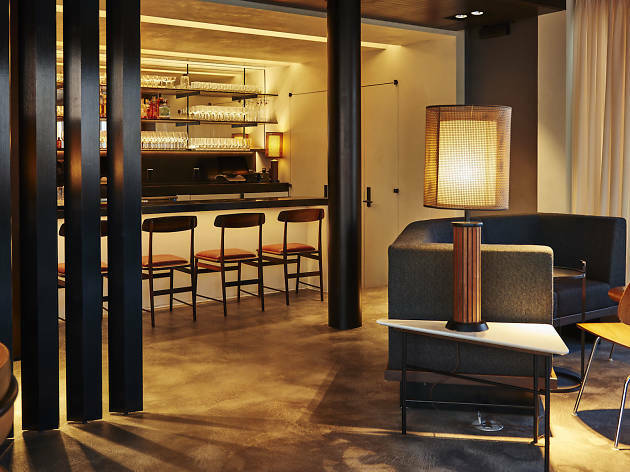 The dim, narrow bar offers small clusters of chairs and couches for groups, but you'll want to head outside to take in the sweeping views and the building's massive spire. 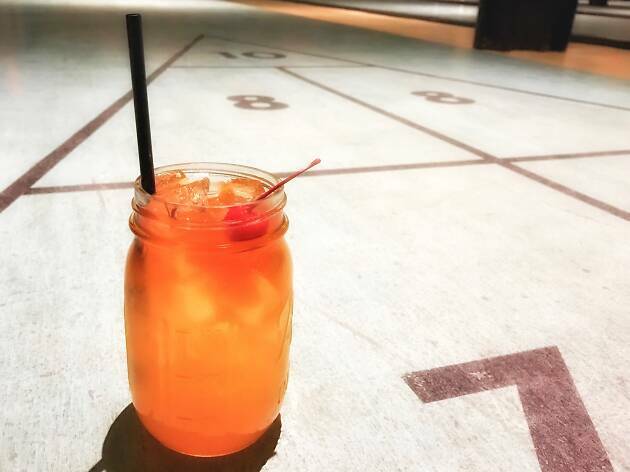 Modeled after classic shuffleboard clubs in Florida, Royal Palms brings the century-old pastime to a gigantic warehouse in Wicker Park. 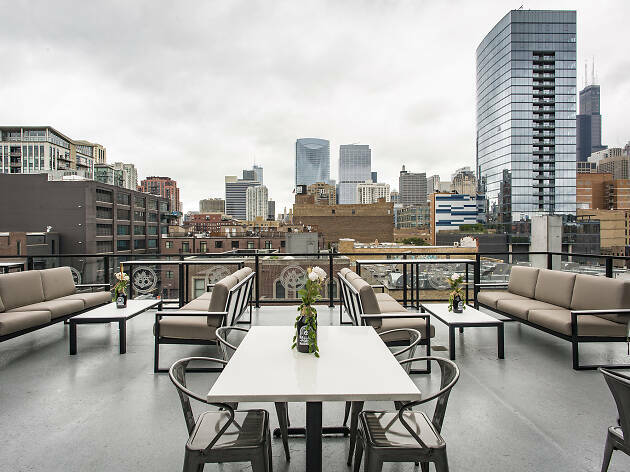 If you've passed by the club on the Blue Line (between Damen and Western), you've probably seen the vibrant rooftop deck, which is outfitted with a bar, seating and, of course, a shuffleboard court. There's no food here, but guests can fill up on food truck fare from a variety of vendors like Tamale Spaceship and Yum Dum Truck. The West Loop gets a taste of the West Coast with this casual brewpub that has more than 40 beers on tap, including several "R&D" Chicago exclusives. Pair your suds with bar snacks like a Bavarian pretzel, California nachos or the California Kölsch steak burrito. 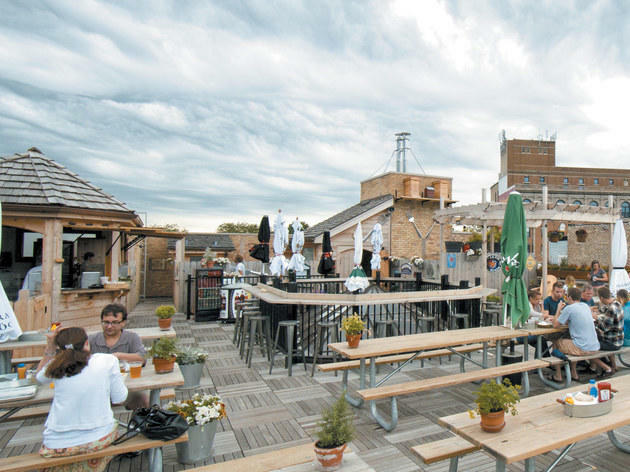 If the weather cooperates, a massive rooftop beckons upstairs, with room for 150 beer fans. In a city full of sweeping views, everyone wants to be on top. But this tri-level venue is the tippy top of all rooftop bars. 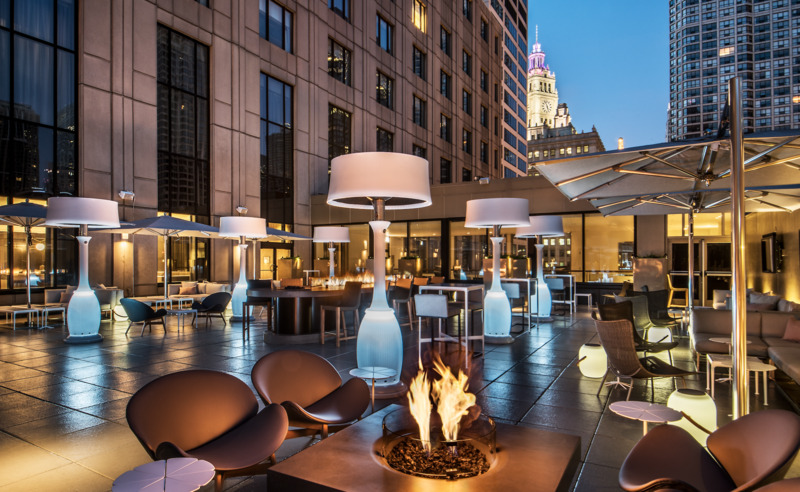 Located on the 21st floor of LondonHouse Chicago, LH Rooftop affords guests stunning vistas of the architecture along the Chicago River and Michigan Avenue. The only downsides: You'll have to arrive early if you want to find a seat, and the drinks aren't cheap. We recommend staying for a glass of bubbly, enjoying the view and moving on. 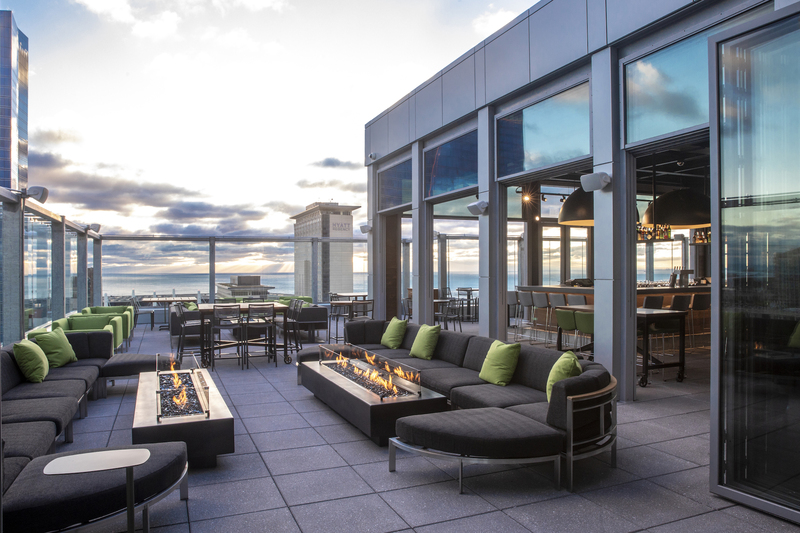 Situated on the fifth floor of the Gwen in River North, this posh 3,000-square-foot rooftop offers a unique view of the city, surrounding its guests with some of the city's coolest architectural gems. Expect inventive cocktails named after Chicago neighborhoods, like the Avondale with mezcal, lime, ginger and lavender bitters. 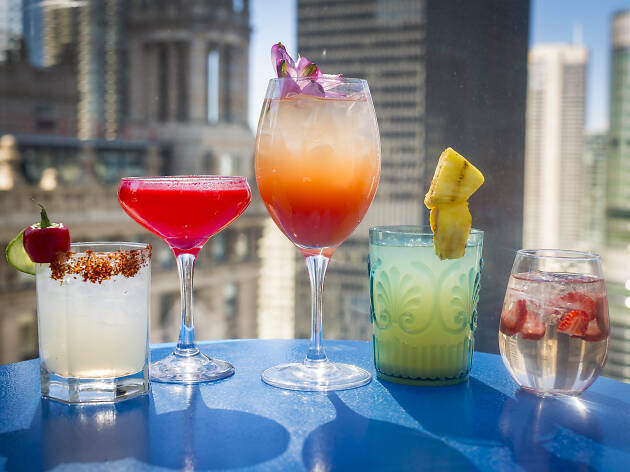 By day, this sunny River North rooftop escape serves mimosa-fueled brunch bites like crab cake Benedict, sweet potato hash and chilaquiles. Come back after the sun goes down for a lively party in the sky. 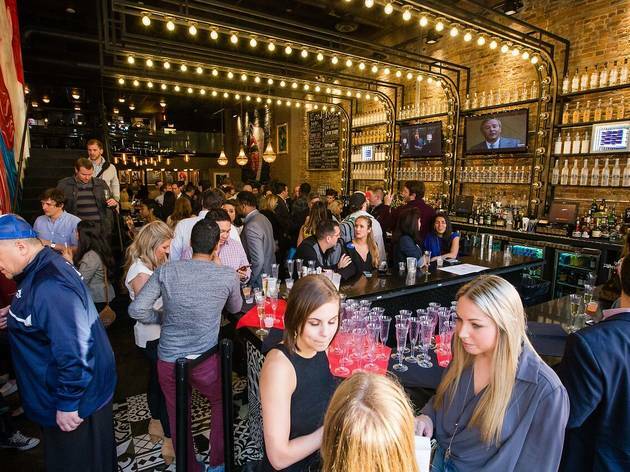 Guests can opt to mix and mingle or secure a table with bottle service. 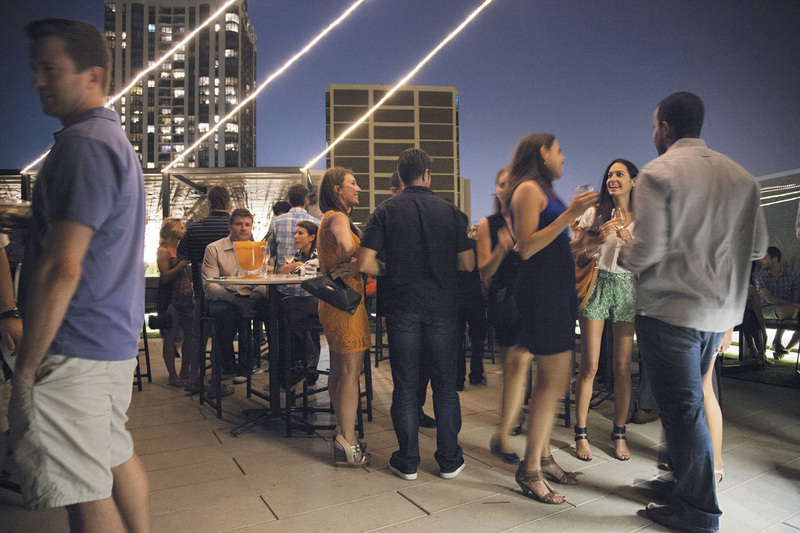 When the clock strikes 5pm, this clubby rooftop floods with frosé-sipping twentysomethings and River North bros. But hey, if you're looking for a happening happy hour spot for a group, Joy District does not disappoint. 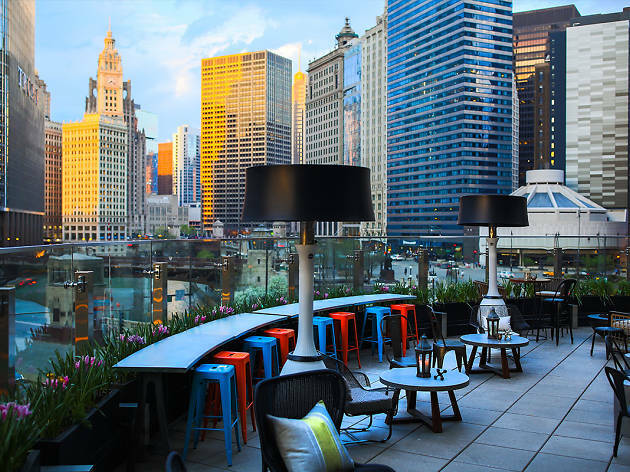 The best rooftop restaurants offer both great food and city views, whether you're gazing at views of the Chicago Loop or glimpses at neighborhood architecture. 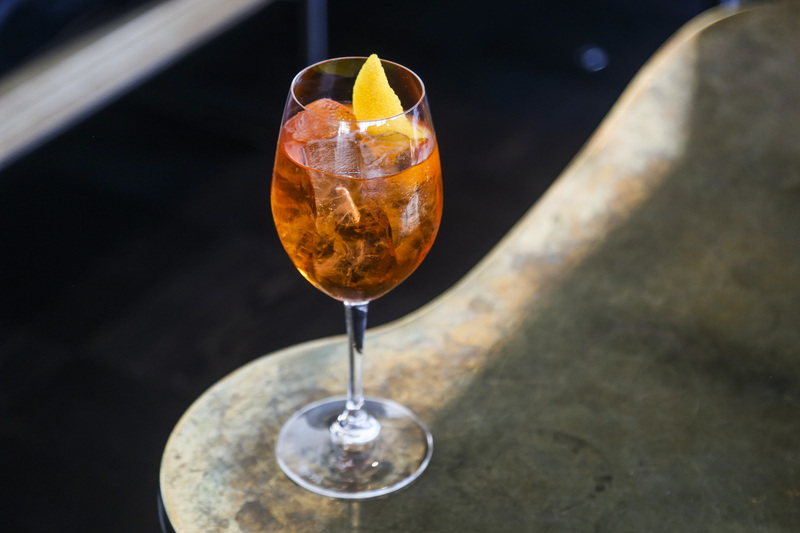 From one of the best Italian restaurants in the city to a spot for brunch in Chicago, here's where to head this summer.